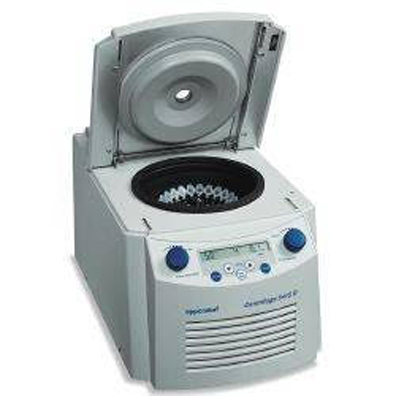 The Eppendorf 5414 fixed-speed microcentrifuge is a compact, quiet-running centrifuge which reaches maximum speed of 15,000rpm and RCF 15,600xG in 10 seconds and stops in 15 seconds, regardless of load. 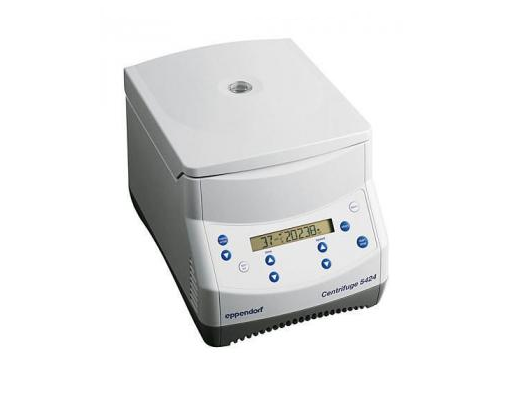 The centrifuge's total spin time is controlled by a built-in 30 minute timer which automatically shuts off automatically after desired spin-time is over. 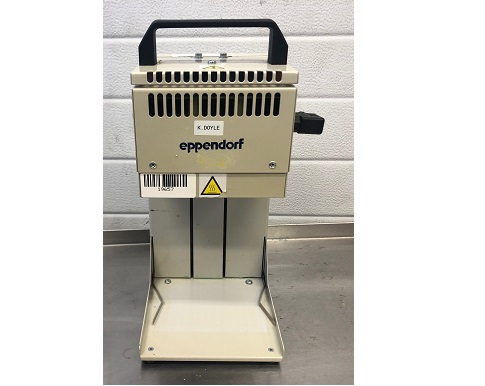 The 5414 features pushbutton momentary switch which permits operation for short spin times and LED pilot light cycles on and off at 1 second intervals for counting. 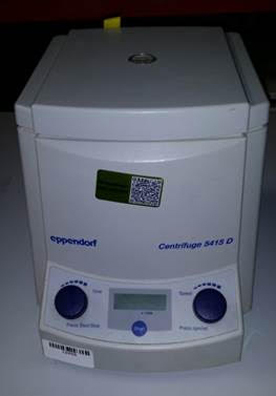 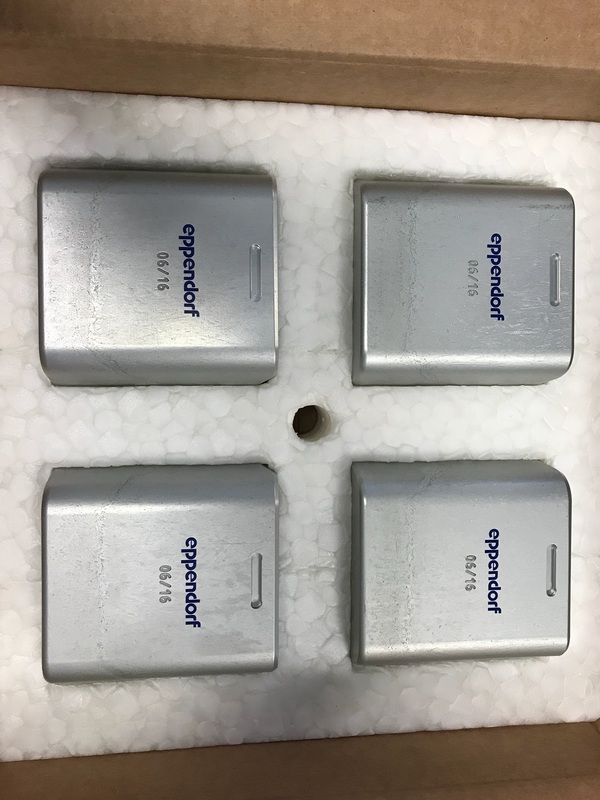 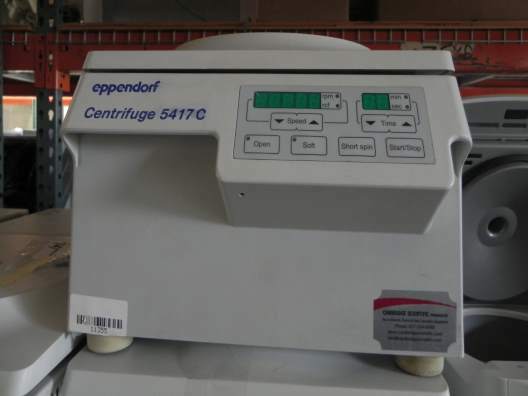 The Eppendorf also features a safety switch which prevents starting the centrifuge with lid open and safety lock which prevents opening of lid while centrifuge is in operation. 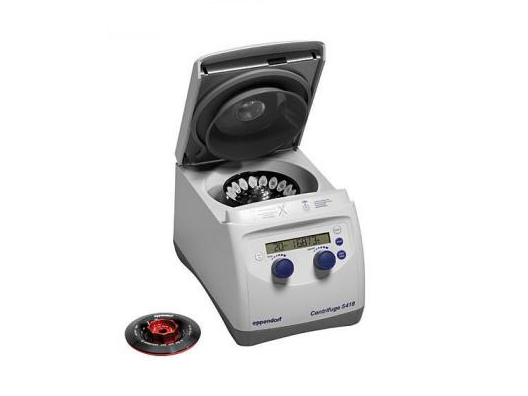 Dimensions (W x D x H): 8.25 x 10.5 x 11.25"
The Centrifuge 5418 is designed specifically for low to medium capacity in 1.5/2.0mL tubes and Microtainer. 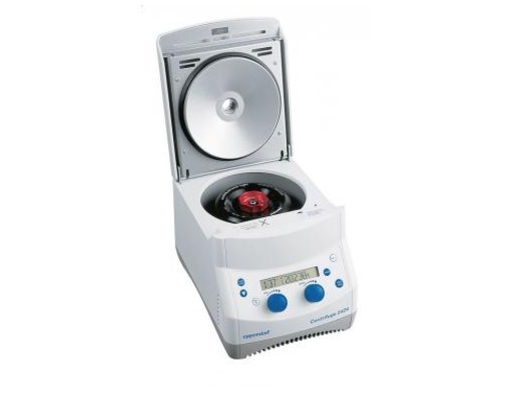 This compact centrifuge system is built with a low acces height and is characterized by its quiet operation. 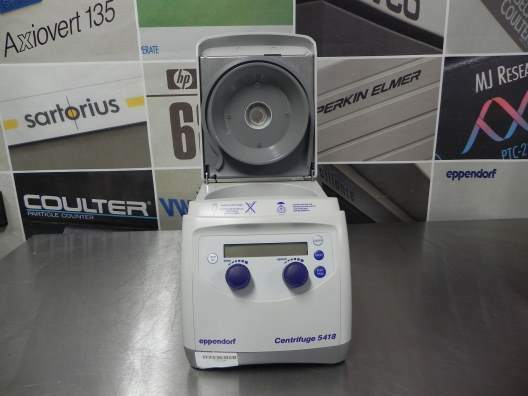 It is equipped with an 18-place rotor capacity. 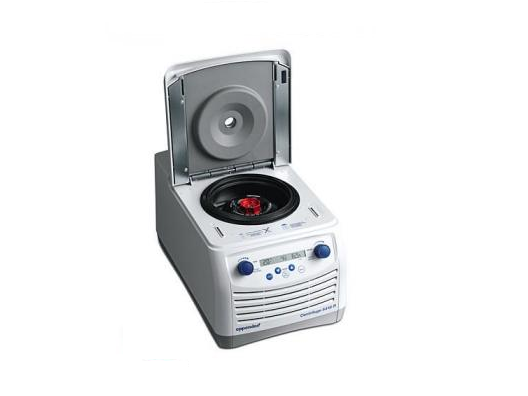 It reaches a speed of up to 16,873 x g which allows for standard molecular biology applications. 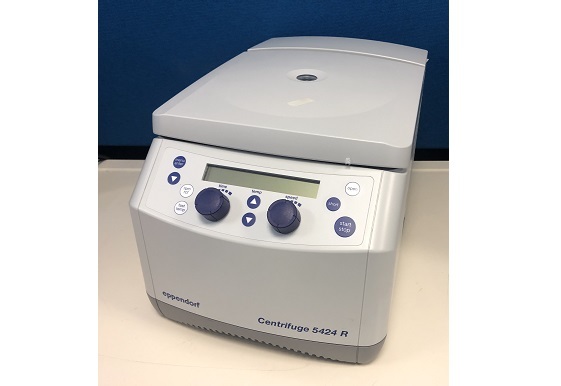 The Centrifuge 5424 is equipped with a 24-place capacity and reaches a speed of up to 20,238 x g. They are designed for all modern molecular biology applications in Eppendorf and PCR tubes.